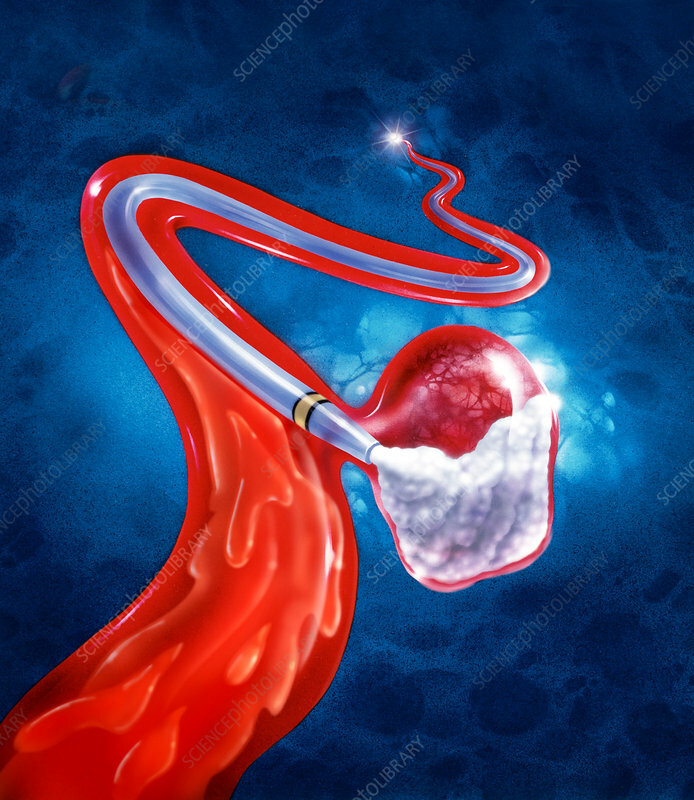 This illustration depicts a type of therapy that fills an aneurysm with a special type of polymer liquid that hardens into a cast soon after introduction. This hardened cast fills the aneurysm which previously was filled with blood. An aneurysm is a balloon-shaped defect in a weak spot on a blood vessel wall, which impedes the natural flow of blood through that vessel.